Hello everyone! My first book review of the year 2015 :) This is a teenage love story in the backdrop of beautiful Shivalik hills of Shimla. 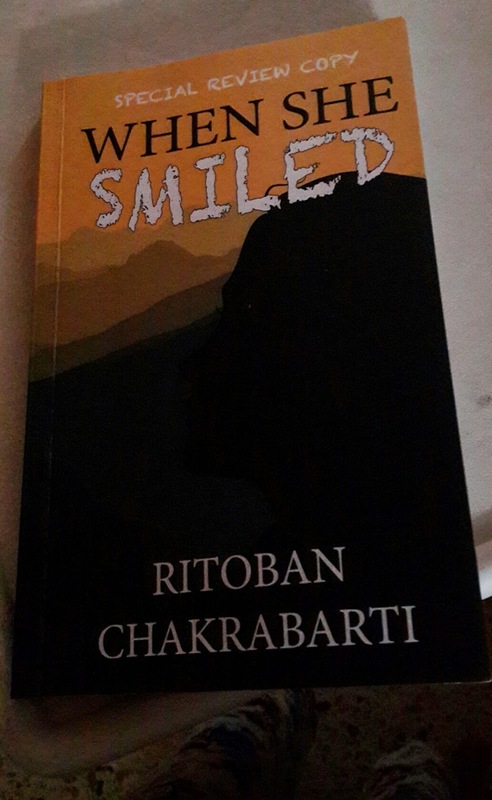 This is the story of a 15year old boy Mrityunjoy - his school days, his first love, love failure and how he has come out of the heartbreak etc., Not a very long story with twists and turns. Mrityunjoy joins back his old school DAV after leaving Sainik school due to injuries and wanted to start a fresh year by meeting his old friends. He meets a beautiful girl in his class whose name is Akanksha and completely bitten by her gorgeous looks on first sight itself. He continues friendship and meets her in Physics tuition class. They become close very soon, start sharing their family details and have fun time walking down to home from their tution. Everyone in the class envy Mrityunjoy for winning her love but their love breaks due to some small misunderstandings. When Akanksha starts friendship with Neeraj and enjoys his company in dance classes, Mrityunjoy cannot accept the situation and still hopes to be with her. Atlast, how he comes out of depression and takes a decision to leave his first love and moves to some other town concentrating on his career forms the climax. I have been to Shimla in childhood and knew Ritz , mall road , kalika temple and scenic beauty of that place. It's refreshing to feel the scenic beauty and first snow in Shimla from the book, it's written very well. Flow of the story is good, though sometimes it's a bit slow. Characterization is good. Especially, Mrityunjoy's parents - how they fight for silly reasons, how they don't appreciate each other's talents and how Mrityunjoy's father doesn't show any emotions and prefers only education and doesn't allows kids to participate in annual events. They are all realistic for that generation. I feel, this generation parents are not like this. First love, first feelings, Mrityunjoy's excitement to talk to Akanksha, his prepaeration for the walks from dressing style to talking manners - everything is very good to read and it might remind you your teenage days. "Time heals all wounds. The scars remain but you can always live with them." 3. Loved those rhyming poems Mrityunjoy writes. 4. Good for a time pass read during travels, not recommended for readers who love thrill and stories with twists and turns.